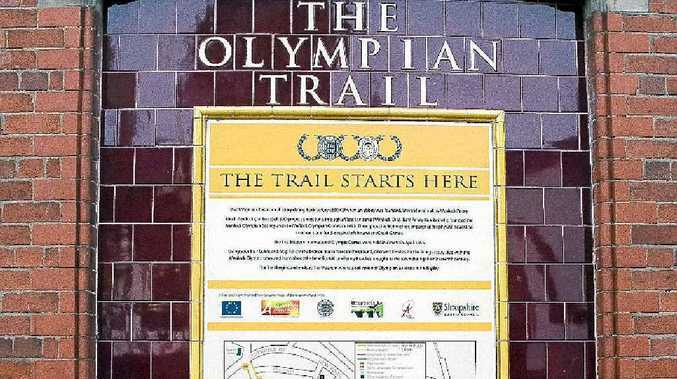 LIMBER UP: The start of the Olympian Trail in Much Wenlock. IF you're travelling to England this northern summer to catch your own strain of Olympic fever, you might want to think twice about going to London. True, London is where, on July 27, 80,000 spectators will take their seats in the Olympic Stadium to watch the opening ceremony of the 30th Olympiad. And, yes, over the following 16 days of competition, a television audience of more than one-seventh of the world's population will tune in to soak up the atmosphere of one of the biggest sporting events ever. But in order to get a taste for the real Olympics, you need to rewind the clocks to July 8 and travel 246km north-west to the small market town of Much Wenlock in Shropshire. Thousands of Australians will be making the long-haul trip to England for the London Games, and with so much culture, history and diverse scenery within easy reach of the capital, many will take the opportunity to make a real holiday out of it and see more of the country. Anyone arriving at the beginning of July should seriously consider the three-hour drive to England's most rural county to witness, or even take part in, the 126th running of the Wenlock Olympian Games. As English country towns go, Much Wenlock is easily one of the smallest, yet its few narrow streets are crammed with pretty houses, shops and tea shops galore. From July 8-22, this sleepy community will play host to a celebration of sport and sportsmanship as all comers are welcome to take part in one of the most historically significant events in the world. Because, while Frenchman Pierre de Coubertin is credited with being the founder of the modern Olympic Games in 1896, the influence of Dr William Penny Brookes and his desire for the people of Much Wenlock to pursue active lifestyles should not go unrecognised. At the first Wenlock Olympian Games in 1850, competitors could take part in many similar events to what will be seen at the London Olympics - the 100-yard foot race, the running high leap and running long leap, and the putting of the stone - but other events have been lost to the history books. No more do boys compete for accolades in arithmetic, nor do girls battle it out in knitting or sewing, and there is no longer the running of the "half-a-mile foot race for farm labourers residing in the Borough of Wenlock". But alongside athletics and a smattering of team events such as soccer, hockey, tennis and badminton, visitors to Much Wenlock in 2012 can also enjoy the spectacle of netball, a 100-mile walk and six days of gliding competitions that will afford entrants sweeping views of the lush, green Shropshire countryside. Tourists are welcome to enter many of the events and, with some offering categories for children, even your little ones can get a feel for Olympics action before the main event begins in London. At the time I visit, on a mild winters day during the week before Christmas, the town is continuing preparations to be ready for Olympic year. Come July, the town will be abuzz with competitors, spectators and curious tourists as the two-week celebration of sport captures the imaginations of people of all ages. But should you find yourself in England in May, mark May 30 in your diary as the day you'll be able to see the Olympic Torch as it passes through the town on its relay around the country. More recognition for Dr Penny Brookes and the gift he and the townspeople of Much Wenlock gave the sporting world comes in the form of one of the two official Olympic mascots. Looking sleek and resplendent in silver and orange, with five friendship bracelets in the colours of the Olympic rings, "Wenlock" will partner "Mandeville" (named after Stoke Mandeville in Buckinghamshire, where a precursor to the Paralympics was held in 1948) to add some extra colour and entertainment to proceedings in the days of London competition. Sporting pursuits aside, the region around Much Wenlock is well worth a visit in its own right, with pretty country towns and villages surrounded by rolling green hills that are a walkers' paradise, with routes such as the 224km Shropshire Way and 283km Offa's Dyke Path. Just 9km up the road is the World Heritage-listed village of Ironbridge - home to the world's first cast iron arch bridge, built in 1779. The county town of Shropshire, Shrewsbury, is 20km north-west of Much Wenlock and the birthplace of another notable 19th century pioneer, Charles Darwin. To the south, Ludlow is a pretty town full of Tudor architecture among its 500 heritage-listed buildings, and is known as a culinary hub. Ludlow was once the only town in England with three Michelin-star restaurants. A highly regarded food and drink festival is held here every year (this year, it will run from September 7-9) and cements the town as one of the leaders in the slow-food movement, with much of the featured produce made in and around Shropshire. The county is known for its cheese (including Shropshire Blue), real ale, baked goods, veges and meats. With all that good food readily available in stores, restaurants, pubs and teashops of the region, it's little wonder Much Wenlock has such a significant role in the birth of the Modern Olympics. The only decision you have to make when you visit is whether or not you are going to enter one of the events at the Wenlock Olympian Games before you indulge in that second slice of cake. For more information visit: Wenlock Olympian Society. SHOULD you arrive when the Games aren't taking place, or you just want an interesting way to tour the town, this 2.1-kilometre walk around the town takes you to all of the sites significant to the Wenlock Games, including the house where Dr William Penny Brookes was born in 1809 and later lived following his return to the town in 1831. At 50- to 100-metre intervals along the route, a pocket guide - available free from the Much Wenlock Museum and Visitor Information Centre at the eastern end of the High Street - introduces the sights while also explaining the history of the Wenlock Olympian Games as well as interesting facts about the Ancient Greek Olympics, the Modern Olympics and Paralympics. 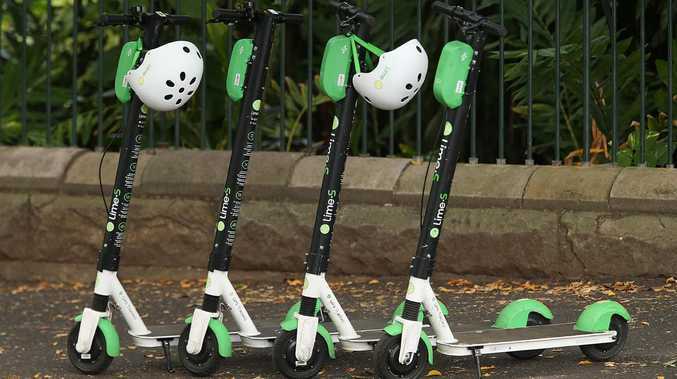 For instance, you may not know that in 680BC at the Ancient Olympics, a 600-yard horse race in which the jockeys rode naked and without saddles or stirrups was a popular event - you may draw your own conclusion as to why; or that live pigeons were used for the shooting competitions at the 1900 Paris Olympics; or that 1995 Dr Penny Brookes died in the same house in which he was born.